(1) Whenever any Judge or Magistrate after having heard and recorded the whole or any part of the evidence in an inquiry or a trial, ceases to exercise jurisdiction therein and is succeeded by another Judge or Magistrate who has and who exercises such jurisdiction, the Judge or Magistrate so succeeding may act on the evidence so recorded by his predecessor, or partly recorded by his predecessor and partly recorded by himself : Provided that if the succeeding Judge or Magistrate is of opinion that further examination of any of the witnesses whose evidence has already been recorded is necessary in the interests of justice, he may re-summon any such witness, and after such further examination, cross- examination and re- examination, if any, as he may permit, the witness shall be discharged. (2) When a case is transferred under the provisions of this Code from one Judge to another Judge or from one Magistrate to another Magistrate, the former shall be deemed to cease to exercise jurisdiction therein, and to be succeeded by the latter, within the meaning of sub-section (1). (3) Nothing in this section applies to summary trials or to cases in which proceedings have been stayed under section 322 or in which proceedings have been submitted to a superior Magistrate under section 325." 11. Section 326 is part of general provisions as to inquiries and trials contained in Chapter XXIV of the Code. It is one of the important principles of criminal law that the Judge who hears and records the entire evidence must give judgment. Section 326 is an exception to the rule that only a person who has heard the evidence in the case is competent to decide whether the accused is innocent or guilty. The Section is intended to meet the case of transfers of Magistrates from one place to another and to prevent the necessity of trying from the beginning all cases which may be part-heard at the time of such transfer. Section 326 empowers the succeeding Magistrate to pass sentence or to proceed with the case from the stage it was stopped by his preceding Magistrate. Under Section 326 (1), successor Magistrate can act on the evidence recorded by his predecessor either in whole or in part. If he is of the opinion that any further examination is required, he may recall that witness and examine him, but there is no need of re-trial. In fact Section 326 deals with part-heard cases, when one Magistrate who has partly heard the case is succeeded by another Magistrate either because the first Magistrate is transferred and is succeeded by another, or because the case is transferred from one Magistrate to another Magistrate. The rule mentioned in Section 326 is that second Magistrate need not re-hear the whole case and he can start from the stage the first Magistrate left it. However, a bare perusal of sub Section (3) of Section 326 makes it more than evident that sub Section (1) which authorizes the Magistrate who succeeds the Magistrate who had recorded the whole or any part of the evidence in a trial to act on the evidence so recorded by his predecessor, does not apply to summary trials. The prohibition contained in sub Section (3) of Section 326 of the Code is absolute and admits of no exception. Where a Magistrate is transferred from one station to another, his jurisdiction ceases in the former station when the transfer takes effect. 12. Provision for summary trials is made in chapter XXI of the Code. Section 260 of the Code confers power upon any Chief Judicial Magistrate or any Metropolitan Magistrate or any Magistrate of the First Class specially empowered in this behalf by the High Court to try in a summary way all or any of the offences enumerated therein. Section 262 lays down procedure for summary trial and sub Section (1) thereof inter alia prescribes that in summary trials the procedure specified in the Code for the trial of summons-case shall be followed subject to condition that no sentence of imprisonment for a term existing three months is passed in case of any conviction under the chapter. 13. The manner in which record in summary trials is to be maintained is provided in Section 263 of the Code. Section 264 mentions that in every case tried summarily in which the accused does not plead guilty, the Magistrate shall record the substance of evidence and a judgment containing a brief statement of the reasons for the finding. Thus the Magistrate is not expected to record full evidence which he would have been, otherwise required to record in a regular trial and his judgment should also contain a brief statement of the reasons for the finding and not elaborate reasons which otherwise he would have been required to record in regular trials. 14. The mandatory language in which Section 326 (3) is couched, leaves no manner of doubt that when a case is tried as a summary case a Magistrate, who succeeds the Magistrate who had recorded the part or whole of the evidence, cannot act on the evidence so recorded by his predecessor. In summary proceedings, the successor Judge or Magistrate has no authority to proceed with the trial from a stage at which his predecessor has left it. The reason why the provisions of sub-Section (1) and (2) of Section 326 of the Code have not been made applicable to summary trials is that in summary trials only substance of evidence has to be recorded. The Court does not record the entire statement of witness. Therefore, the Judge or the Magistrate who has recorded such substance of evidence is in a position to appreciate the evidence led before him and the successor Judge or Magistrate cannot appreciate the evidence only on the basis of evidence recorded by his predecessor. Section 326 (3) of the Code does not permit the Magistrate to act upon the substance of the evidence recorded by his predecessor, the obvious reason being that if succeeding Judge is permitted to rely upon the substance of the evidence recorded by his predecessor, there will be a serious prejudice to the accused and indeed, it would be difficult for a succeeding Magistrate himself to decide the matter effectively and to do substantial justice. 15. The High Court by the impugned judgment rejected the contention regarding proceedings having been vitiated under Section 461 of the Code, on the ground that parties had submitted pursis dated August 3, 2001 and in view of the provisions of Section 465 of the Code, the alleged irregularity cannot be regarded as having occasioned failure of justice and thus can be cured. The reliance placed by the High Court, on the pursis submitted by the appellants before the learned Metropolitan Magistrate declaring that they had no objection if matter was decided after taking into consideration the evidence recorded by his predecessor- in-office is misconceived. It is well settled that no amount of consent by the parties can confer jurisdiction where there exists none, on a Court of law nor can they divest a Court of jurisdiction which it possesses under the law. 16. The cardinal principal of law in criminal trial is that it is a right of an accused that his case should be decided by a Judge who has heard the whole of it. 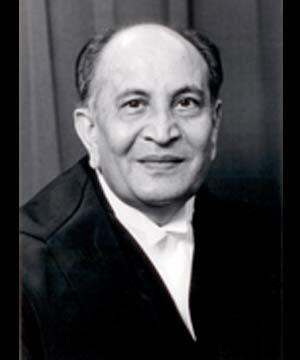 It is so stated by this Court in the decision in Payare Lal Vs. State of Punjab, AIR 1962 SC 690 : (1962 (1) Crl LJ 688). This principle was being rigorously applied prior to the introduction of Section 350 in the Code of Criminal Procedure, 1898. Section 326 of the new Code deals with what was intended to be dealt with by Section 350 of the old Code. From the language of Section 326(3) of the Code, it is plain that the provisions of Section 326(1) and 326(2) of the new Code are not applicable to summary trial. Therefore, except in regard to those cases which fall within the ambit of Section 326 of the Code, the Magistrate cannot proceed with the trial placing reliance on the evidence recorded by his predecessor. He has got to try the case de novo. In this view of the matter, the High Court should have ordered de novo trial. "461. Irregularities which vitiate proceedings:- If any Magistrate, not being empowered by law in this behalf, does any of the following things, namely; x x x x x (l) tries an offender; x x x x x his proceedings shall be void." A plain reading of this provision shows that the proceedings held by a Magistrate, to the extent that he is not empowered by law, would be void and void proceedings cannot be validated under Section 465 of the Code. This defect is not a mere irregularity and the conviction of the appellants cannot, even if sustainable on the evidence, be upheld under Section 465 of the Code. In regard to Section 350 of the old Code, it was said by Privy Council in Pulukuri Kotayya Vs. Emperor, AIR 1947 P.C. 67 that "when a trial is conducted in a manner different from that prescribed by the Code, the trial is bad, and no question of curing an irregularity arises; but if the trial is conducted substantially in the manner prescribed, but some irregularity occurs in the course of such conduct, the irregularity can be cured under Section 537". what would be position when the Magistrate has recorded plea u/s. 251 of cr.p.c and also recorded fulfledged evidence word to word and also allowed to lead documentary evidence to parties and then before the judgment is delivered the magistrate is transferred, in such circumstances, whether the judgment of Nitin Saventilal would be made applicable? per my view it would be not, but want to know others view. would like to add in the above, the circumstances are that as per sec. 142 proviso, the trial of N.I.Act 138 case is to be conducted summarily and to do otherwise the magistrate has to record its reasons for trying the case in summons way, but, he did not record his reasons, but recorded the plea u/s 251 of crpc (as summons case), and also recorded fulfledged evidence, in this circumstances whether the succeeding magistrate on taking the charge can proceed with the case left by his predecessor or has to confined himself as per the ratio of Apex Court laid down in Nitin saeventilal and order for denovo trial? In India the cases related to Negotiable Instruments piled up like anything, even for the sake of administrative exigencies the courts of magistrates are transferred frequently and looking to the high number of pending cases of Negotiable Instruments, to what extent the denovo trial concept is useful. In almost all cases when the parties lead fulfleged evidence oral and documentary especially with aid of expert evidence also and in such circumstances, whether denovo trial would be a boom or curse to the litigants looking to the object of Negotiable Instruments and more too concept of speedy trial. i agree with u all. in the above judgement trial was conducted summarily. even the case was instituted as a summary case. doesn't apply to cases wherein full fledged verbatim evidence is reorded. kindly go through the original judgment of nitinbhai delivered by Hon'ble gujarat high court. It is mentioned therein that the trial in the said case was conducted as summons trial. pending revision before the Ld. sessions court against the conviction order of trial, can an application raising the issue of jurisdiction based on judgment of Apex court in case of nitinbhai be raised by filing separate application? under which provision ?.